<img src="https://assets.podomatic.net/ts/07/28/27/communications19123/1400x1400_13489655.jpg" alt="itunes pic" /><br />On March 15, suspected white supremacist extremist Brenton Harrison Tarrant, a 28-year-old Australian man, attacked two mosques, killing 50 and injuring 50 others in Christchurch, New Zealand. In the immediate days following the attacks, various international terrorist groups and other white supremacist extremists commented on the attack, either condemning and calling for revenge or showing their support. In today’s podcast, our analysts will discuss how these various extremist groups have responded to this attack and implications for future threats. <img src="https://assets.podomatic.net/ts/07/28/27/communications19123/1400x1400_13282236.jpg" alt="itunes pic" /><br />Although overseas, foreign terrorist organizations pose unique challenges to homeland security professionals and law enforcement. These groups attempt to conduct attacks within the United States and have plotted to target US infrastructure as well as overseas US interests. In 2019, ISIS will maintain its insurgency in Iraq and Syria, support its global affiliates, and attempt to inspire attacks through propaganda dissemination, while al-Qa’ida and its affiliates will focus on targeting Western interests abroad, also disseminating propaganda to its followers, and attempting to expand its operations in West Africa. In this episode, our analysts discuss what 2018 looked like for these foreign terrorist groups, how they have evolved over the years, and what threat they may present to the State of New Jersey. <img src="https://assets.podomatic.net/ts/07/28/27/communications19123/1400x1400_13243947.jpg" alt="itunes pic" /><br />Homegrown Violent Extremists (HVEs) are individuals inspired—as opposed to directed—by foreign terrorist organizations and radicalized in the countries in which they are born, raised, or reside. These organizations continue to call for attacks in the West, despite the groups’ inability to execute large-scale attacks in recent years. HVE support in the United States for foreign terrorist organizations will remain unremitting, despite a decline in HVE attacks and overall activity since 2015. In 2018, there were seven individuals involved in attacks and plots nationwide and eight others charged with material support. Join us as we discuss why HVEs remain the highest threat to New Jersey due to their sustained support of foreign terrorist groups, the unpredictability of attacks, and their susceptibility to online propaganda. <img src="https://assets.podomatic.net/ts/07/28/27/communications19123/1400x1400_13220202.jpg" alt="itunes pic" /><br />The Regional Operations Intelligence Center (ROIC) is New Jersey’s state fusion center, a joint interagency intelligence enterprise comprised of 175 personnel from various law enforcement and public safety agencies. 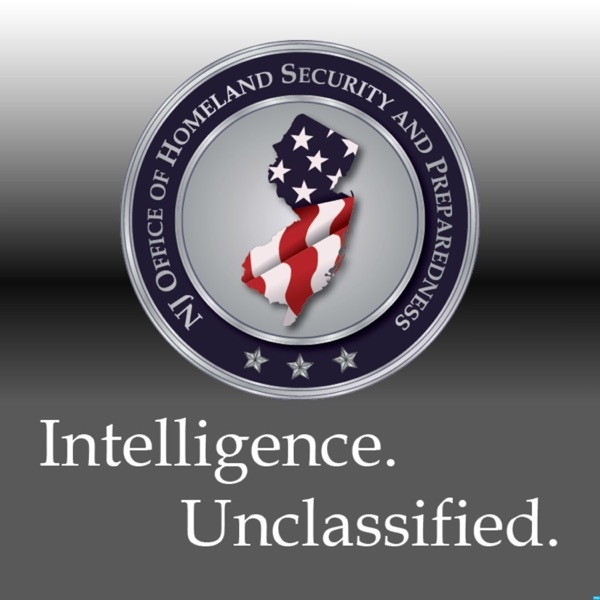 The ROIC is the State’s hub for intelligence and includes input and personnel from agencies such as the FBI, US Department of Homeland Security, NJOHSP, and numerous state, county, and municipal agencies. Analysts from all partnering agencies collaboratively link data to create “actionable” intelligence that guides tactical investigations in real time. The ROIC is also the home for the Office of Emergency Management and State Emergency Operations Center, and it serves as the command center for all State-led emergency response operations, such as natural disasters, chemical/nuclear emergencies, and terror alerts. During emergency response missions, the ROIC serves as the gateway for situational information and requests for aid. It allows a coordinated and measured response by matching requests with resources and personnel run by federal, state, and local agencies. Join us as we explore the inner workings of the ROIC and its whole-of-government approach to providing intelligence and resources across all threats, all crimes, and all hazards. Oroville Dam Evacuation: Could It Happen Here? <img src="https://assets.podomatic.net/ts/07/28/27/communications19123/1400x1400_11462694.jpg" alt="itunes pic" /><br />In Episode 20, Director of Intelligence Rosemary Martorana sits down with State Critical Infrastructure Coordinator Andy Smith from the NJOHSP Infrastructure Protection & Training Bureau to discuss the Department of Homeland Security’s Protection Critical Infrastructure Information (PCII) Program. In particular, they will explore how the program supports critical infrastructure protection, as well as NJOHSP’s role with PCII.